Home > Special Offers > Sales > Lease the 2019 Passat! 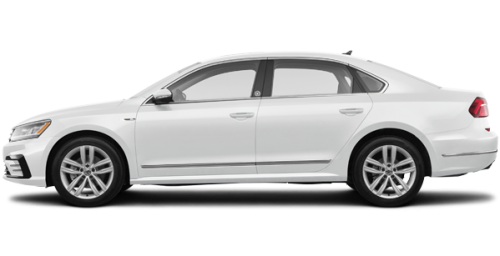 Lease the 2019 Volkswagen Passat Wolfsburg Edition from $100 weekly at 3.99% for 60 months with $1,531 down! 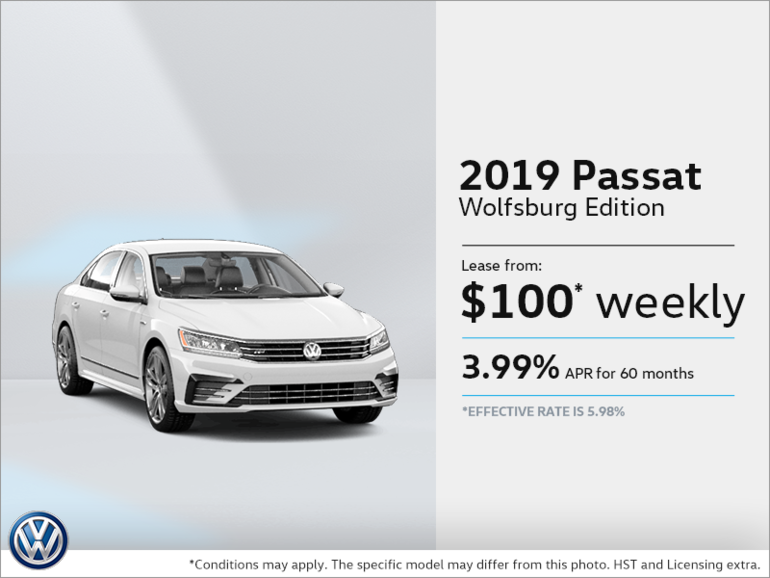 ΔLimited time lease offer available through Volkswagen Finance, on approved credit, based on a new and unregistered 2019 Passat 2.0T Wolfsburg Edition base model with auto transmission. $1,765.00 freight and PDI included in weekly payment. 3.99% APR for 60 months equals 260 weekly payments starting from $99.50. $1,531.32 down payment, $0 security deposit, $20.00 EHF (tires), $100.00 air-conditioning levy (if applicable), $10.00 OMVIC fee, $58.00 PPSA fee and up to $499.00 dealer administration fee and first weekly payment due at lease inception. Total lease obligation: $28,088.32. 16,000-kilometre allowance; charge of $0.15 for excess kilometres. License, insurance, registration options and applicable taxes are extra. Model shown for illustrative purposes only.